The Chad Valley Tiny Treasures Dinosaur Outfit is super cute, no argument about it. 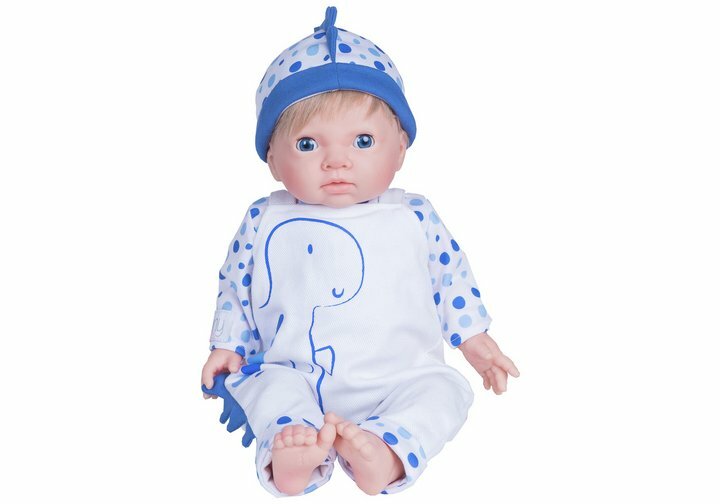 An all-in-one white baby grow with fetching two tone blue spotty arms, a charming blue dinosaur on body including blue spine detail down the left leg and an amazingly lovely spotty hat with blue spine down the centre to match. Outfit comes stunningly packaged in a very pretty ribbon drawstring Tiny Treasures organza gift bag. Size H30.5, W23, D7cm. Get money off with April 2019 free Argos voucher codes, see if there's a discount code for the Chad Valley Tiny Treasures Dinosaur Outfit product.